Step-by-step instructions and photos for 30+ projects and techniques that draw on the artistic traditions of the past. 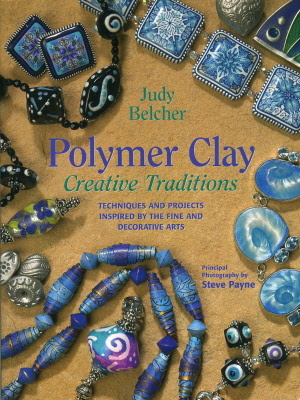 Artists at all skill levels can create lovely clay pieces inspired by painting and drawing, ethnic carving, quilting, ceramics, etc..
144 full colour pages. 300 photographs. 30+ projects. In addition the work of more than 90 contributing polymer clay artists is shown in full colour photography.